Does your jaw feel stiff or do you have difficulty opening your mouth wide? Are your teeth sensitive to cold drinks? Do your jaw muscles feel tired in the morning? You may be grinding your teeth at night (a medical condition called bruxism) or you may be clenching your teeth, which can be just as harmful. People with nighttime grinding habits may wear away their tooth enamel “ten times faster” than those without “abusive chewing habits.” Eventually, your teeth may be worn down and destroyed. 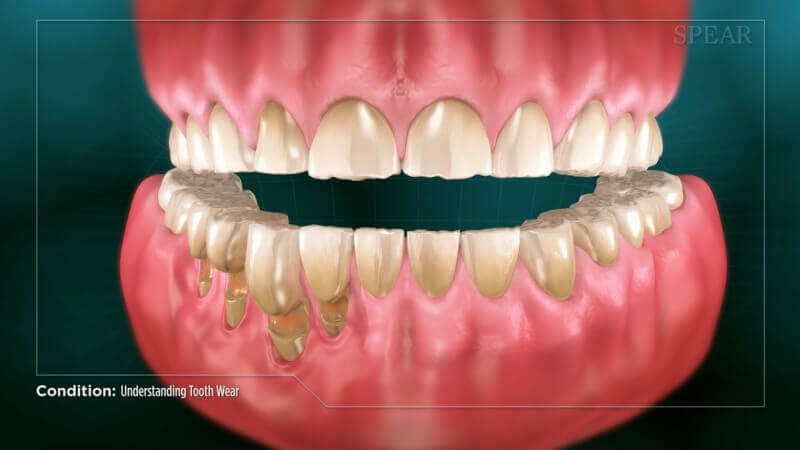 In addition to relieving head, neck, jaw joint and shoulder pains, treating bruxism and clenching is cost effective compared to ignoring the condition and exposing teeth to continued grinding.Without treatment, crowns (caps), bridges, implants and dentures are often needed to repair or replace worn and damaged teeth. Ask your dentist if a nightguard can help to provide temporary relief from grinding, bruxing or clenching. What Causes Snoring? During sleep, the muscles and soft tissues in the throat and mouth relax making the breathing airway smaller. This decrease in the airway space increases the velocity of air flowing through the airway during breathing. As the velocity of required air is increased in the constricted space, soft tissues like the soft palate and the uvula vibrate. These vibrations of the soft tissues in the mouth and throat result in what is called “noisy breathing” or generally referred to as snoring. It should also be noted that sleep studies have shown that excess body weight, heavy alcohol consumption and other sedatives have been shown to increase the severity of snoring. Surgical techniques to remove respiration impairing structures such as uvula, enlarged tonsils and adenoids have been among the many attempted snoring remedies. These soft tissue surgical procedures have shown only moderate success rates (e.g. 20 to 40%). At certain levels of severity, complete blockage of the airway space by the soft tissues and the tongue can occur. If the period of asphyxiation lasts longer than 10 seconds, this is called Obstructive Sleep Apnea (OSA). 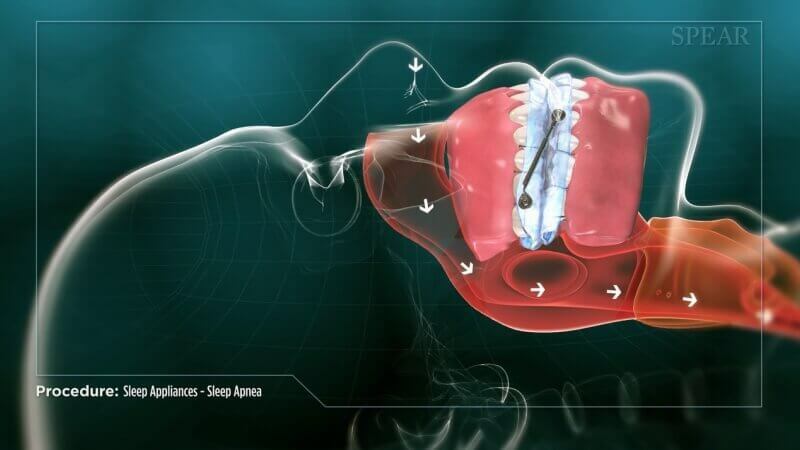 OSA can be a serious medical condition and your dentist may refer you to a sleep specialist. For the majority of snorers however, the most affordable, noninvasive, comfortable, and effective snoring solution remains the dentist prescribed oral snoring preventative device, such as the SILENT NITE. Why Custom Fabricated Sports Mouthguards? According to the American Dental Association, more than 200,000 oral injuries are prevented annually in this country by sports mouthguards. While this is an impressive preventative figure, it is unfortunately estimated by the National Youth Sports Foundation that more than 5 million teeth will be knocked out in sporting activities this year.These oral traumas will happen to children, high school and college level athletes. In fact, dental injuries are the most common type of orofacial injury sustained during participation in sports. 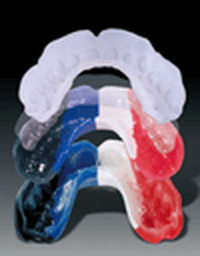 The benefits of sports mouthguard protection has been well documented. In 1995 Dr. Raymond Flander’s study on the high incidence of oral injuries showed that in football, where moutguards are mandatory, only .07% of all injuries involved teeth and the oral cavity. Conversely, in basketball where mouthguards are not worn, 34% of all injuries to players involved teeth and/or the oral cavity! Obviously dental injuries could also be significantly reduced if children, teenagers and adults involved in the following sports wore custom fabricated mouthguards: soccer, volleyball, baseball, softball, rollerblading, skateboarding, martial arts, boxing, hockey, kickboxing and mountain biking. We offer special removable appliances as treatment for sleep apnea. We work closely with sleep study clinics in diagnosing and treating patients with sleep apnea. We evaluate our patients for potential sleep apnea either per special consultation or at their hygiene appointment.